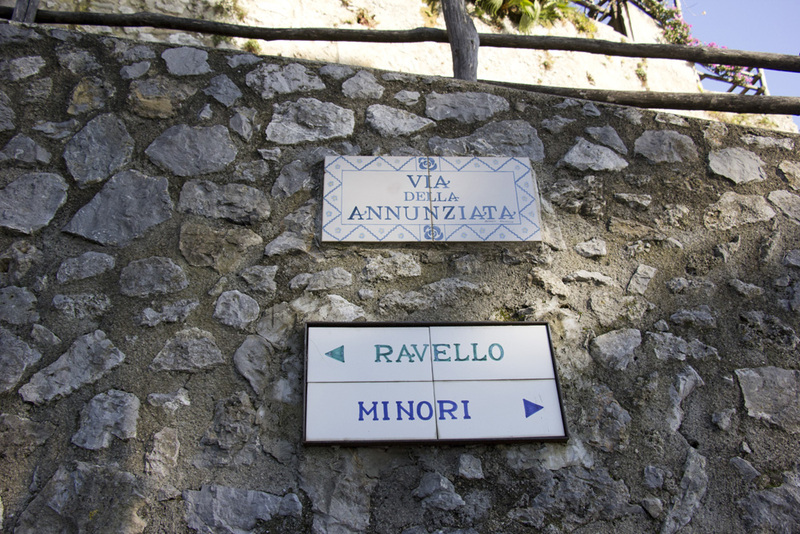 I had never heard of the town of Ravello before my trip to the Amalfi Coast. 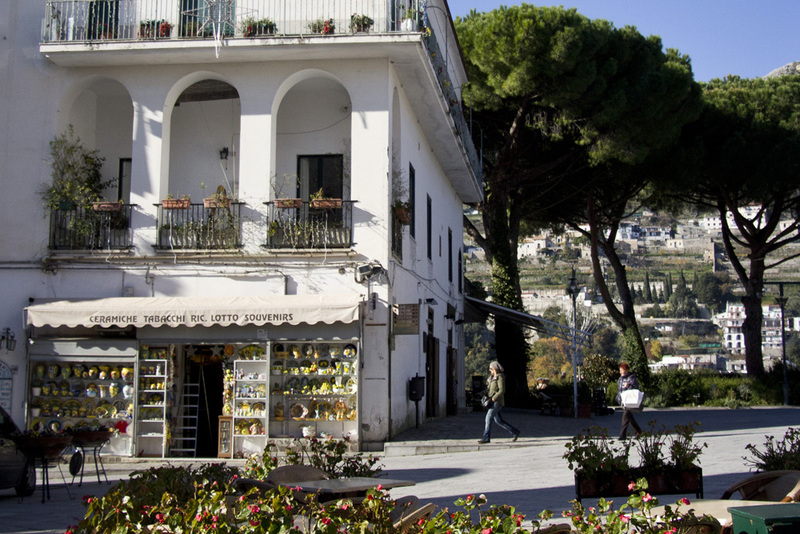 Sorrento was on my radar as I had traveled there with my family as a 14 year old, and it’s impossible to not know about Positano if you’ve watched Under the Tuscan Sun on cable TV as many times as I have. 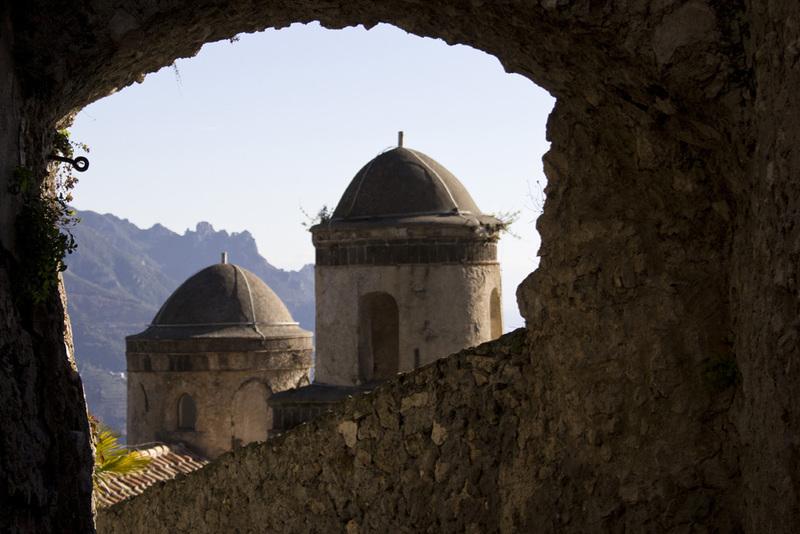 But Ravello is like an Amalfi secret. 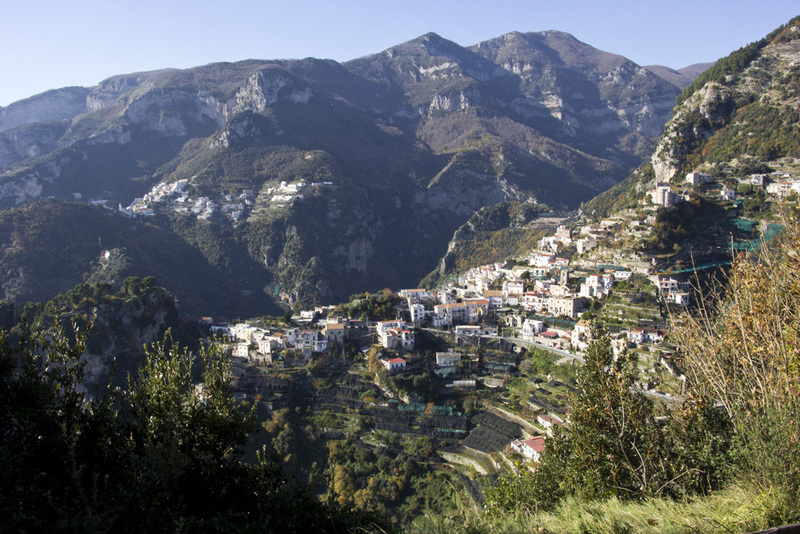 It sits on a mountaintop instead of down by the water and has more picture perfect Italian character than you’d hope to see in any one Italian town. Who knew?? Ok a lot of people knew. It’s not really a secret. 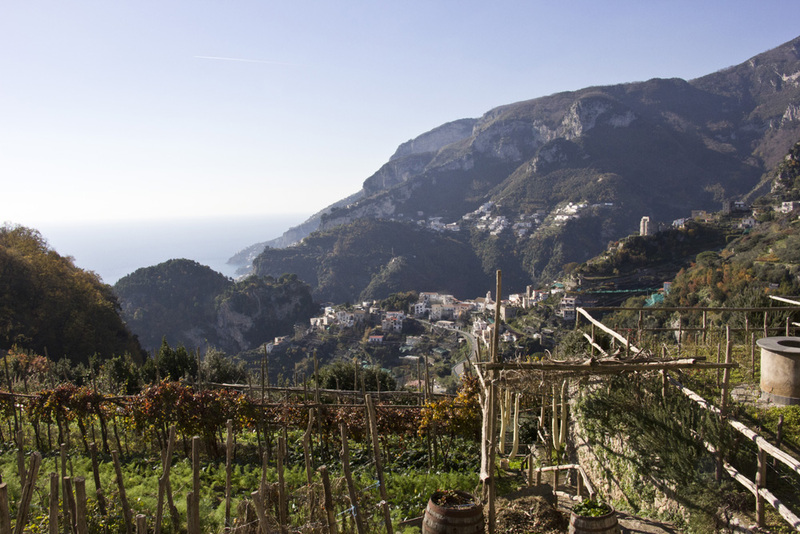 It’s been a favorite vacation destination for high society and celebrities for generations and is one of the more popular places to visit on an Amalfi road trip. To me, however, it certainly feels like it should be a secret – it’s to good to be true. 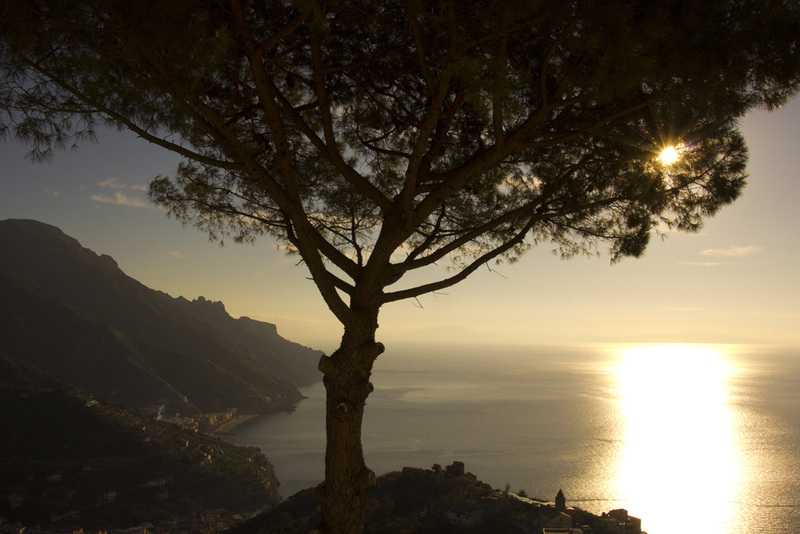 Ravello was recommended to me by many Amalfi veterans as an alternative to staying in Sorrento, Positano, or Amalfi. Its got gardens and villas, historic hotels, delicious food, and panoramic views of some of the world’s most dramatic seaside landscape. A bonus? Its distance from the main highway. Because it requires either a long walk or a bus/taxi/car ride to the tippy top of a hill instead of just a hop off the main bus, it is mostly spared from the tourist swarms. 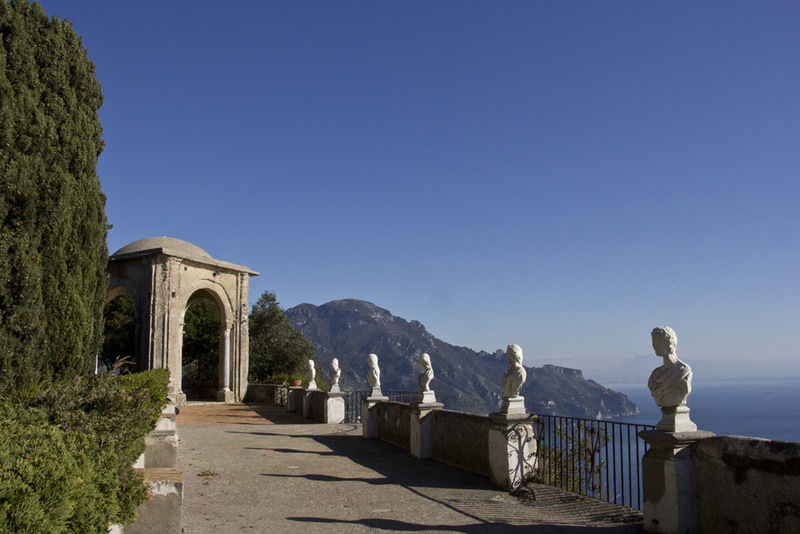 And in December when we visited, there may have only been five other travelers in Ravello the whole day. Honestly, it was SO worth the extra effort of getting here. And with views like this, it not hard to see why. 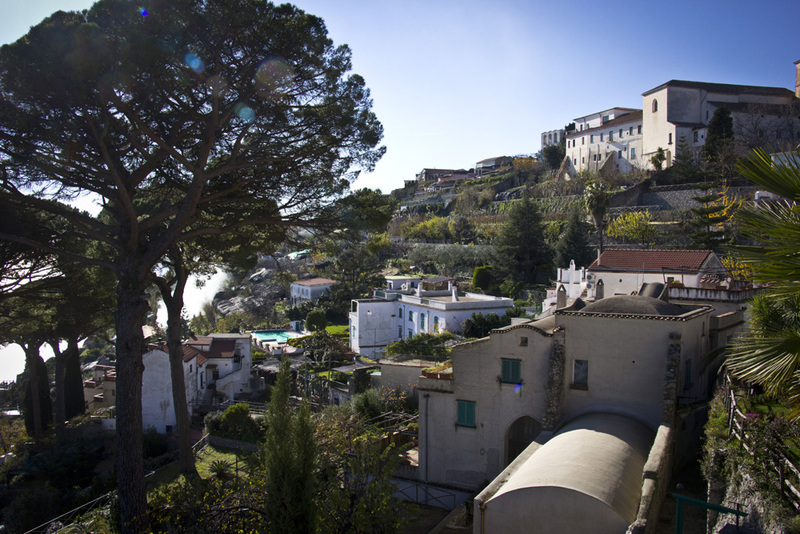 We spent our time here wandering the quiet streets, sipping coffee, and visiting historic villas – with a little help from Emiliano Amato, director of the local newspaper Il Vescovado. 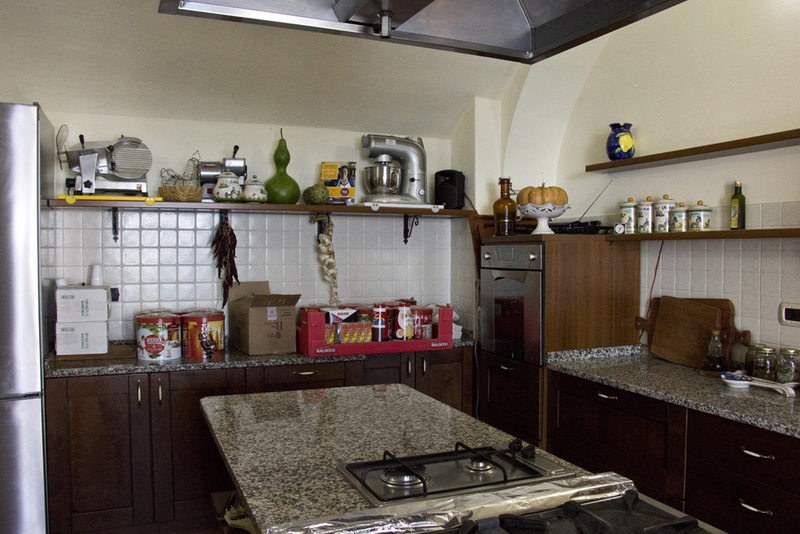 He took us around to some of Ravello’s most important places and introduced us to a woman who has single-handedly revived my love of cooking. 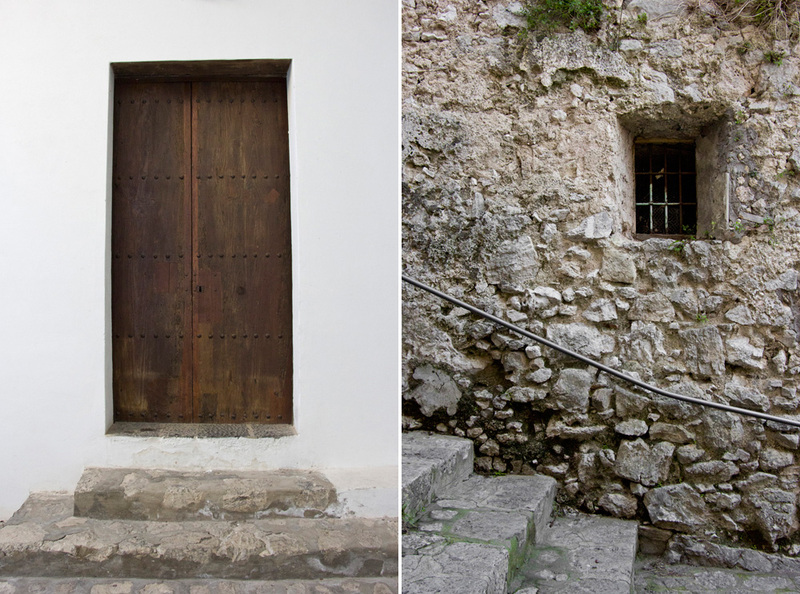 And even with only one day to get to know this charming medieval mountaintop town, we saw and experienced so much. 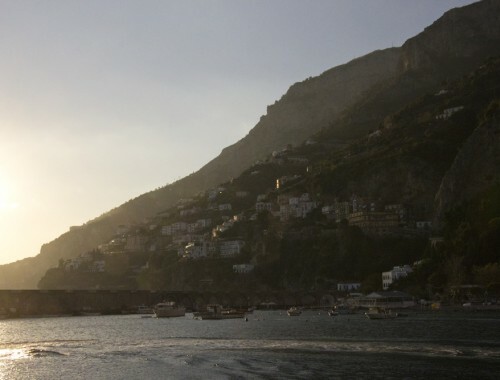 We arrived in town late at night, so waking up the next morning to a golden Italian sunrise was a perfect start. From our balcony at the 2-room guesthouse Auditorium Rooms, we had an impressive view looking south over the sea and neighboring town Minori. I couldn’t wait to check out town, but we took our time enjoying a leisurely cappuccino to admire the scenery as long as possible. 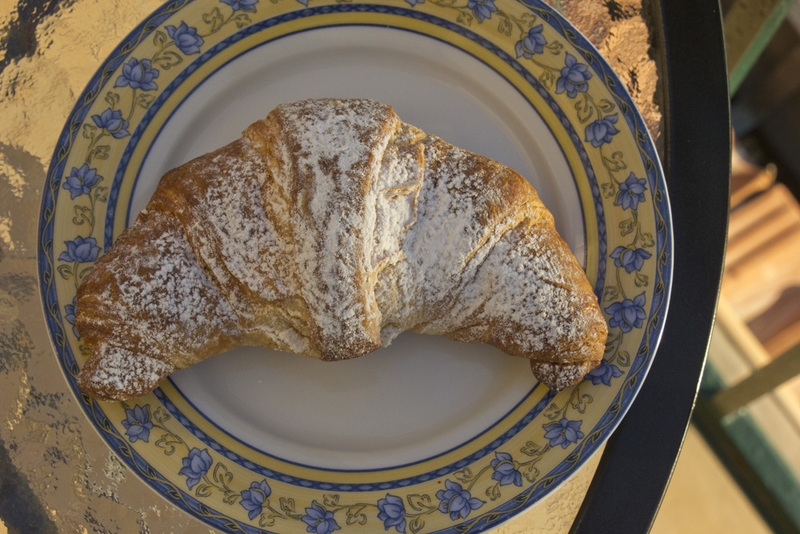 The ham and cheese toasty, yogurt, and a cornatto (Italian version of a croissant) didn’t hurt either. 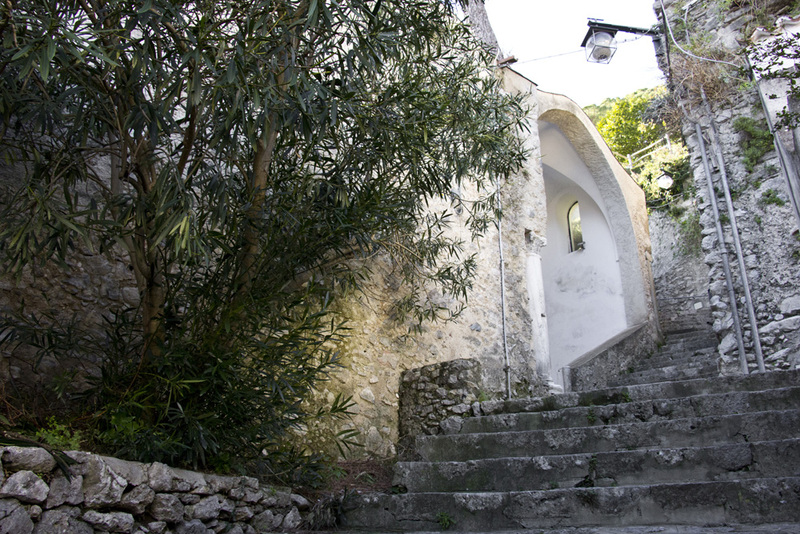 First order of business, post cornatto, was to explore get lost in the side streets and uncover all of Ravello’s secrets. This is always my favorite part of getting know a new place – it’s the details discovered when walking aimlessly around town that thrill me. There were so many beautiful little surprises around every corner and up every staircase here. 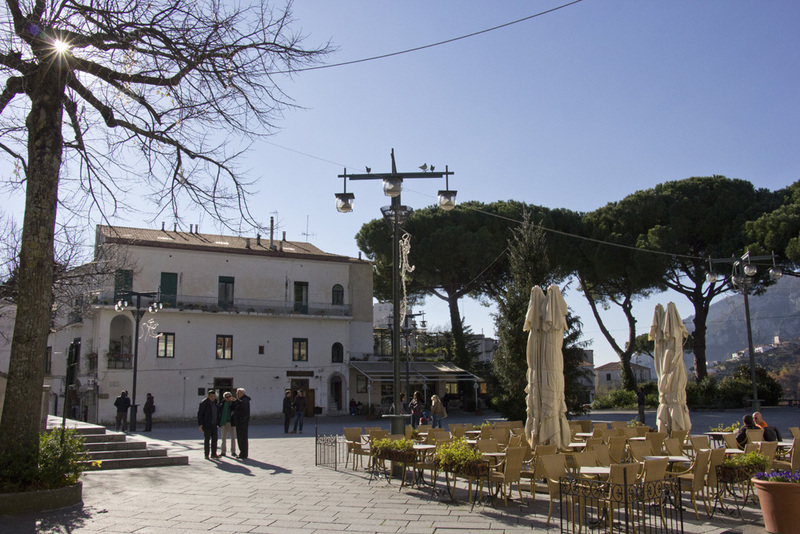 After a lot of stair-climbing and second-guessing our directions, we eventually made our way to the main square, Piazza Vescovado. Many of the most important historic places are within spitting distance of this square. 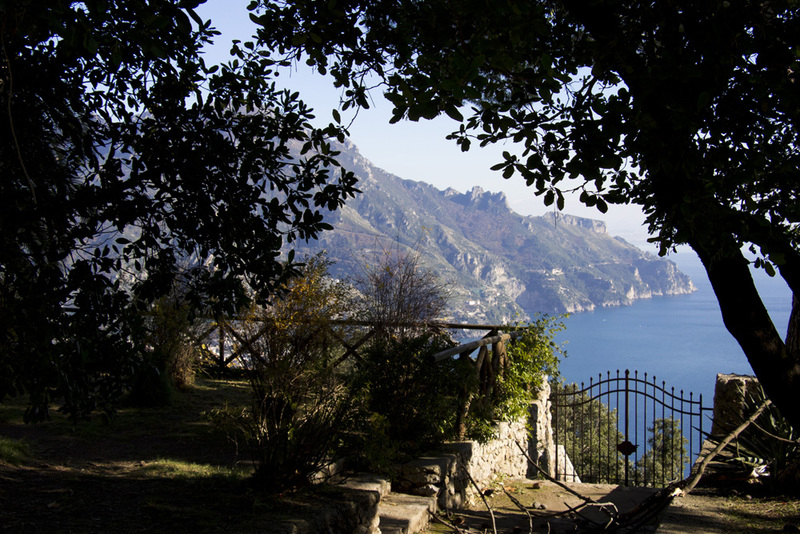 The Duomo, Villa Rufolo, Hotel Caruso, Hotel Palumbo… any tour would take you right through here. But putting aside the history, it’s a fantastic place to enjoy the sun, have a coffee, and people watch. It was a highlight of my day. 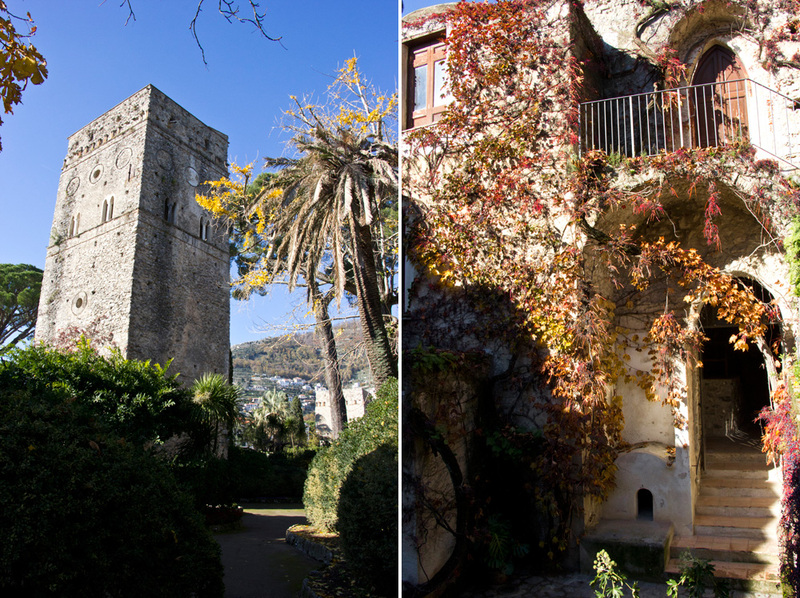 Villa Rufolo is right off the main square, so its naturally the next place to go. 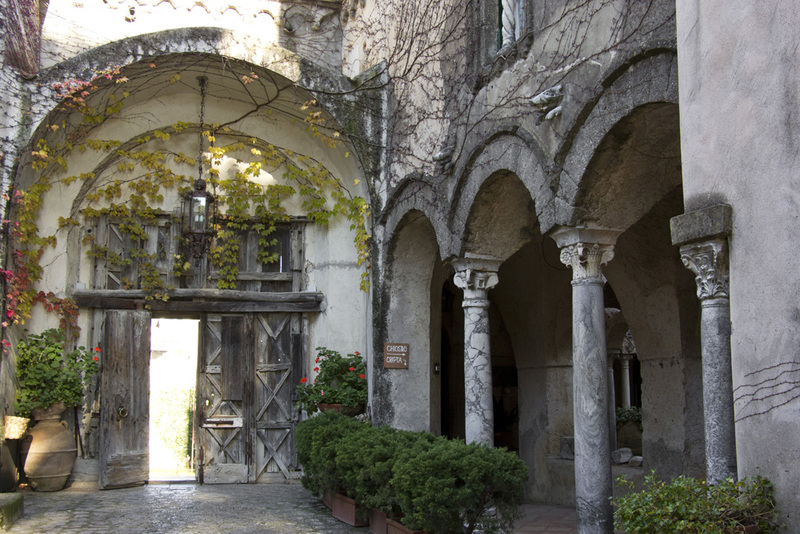 This villa was built in the 14th century by the powerful Rufolo family and after being passed down from family to family for generations, it was restored as a museum for the public. Its modern claim to fame is being the inspiration behind Richard Wagner’s opera Parisfal. 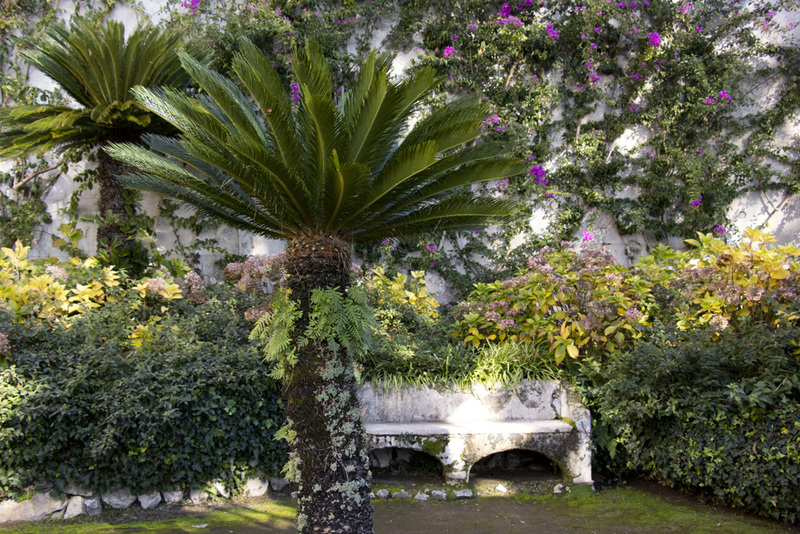 For 5 Euros, you can walk the manicured-yet-overgrown gardens and check out the mix of architecture styles among the buildings and terraces. 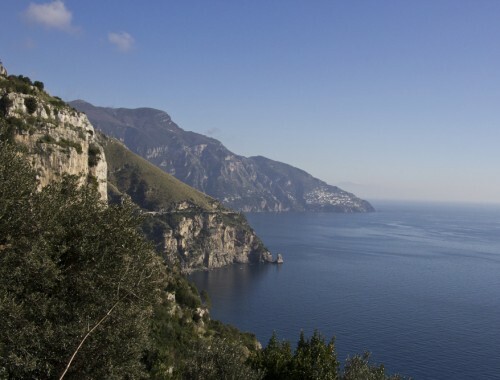 And of course, the views over the coastline are stunning. Of course. 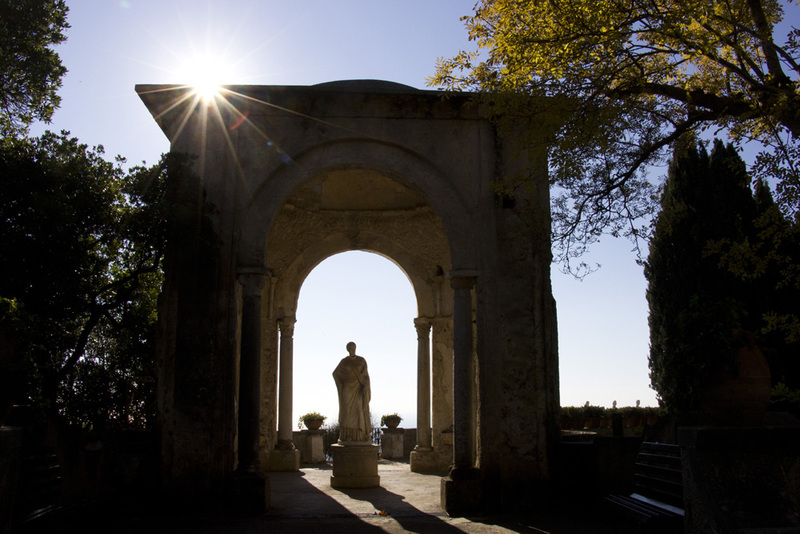 Villa Cimbrone is a little harder to find (meaning its a 10-min walk from the center of town through winding streets and vineyards) but it’s worth the entry fee and time. 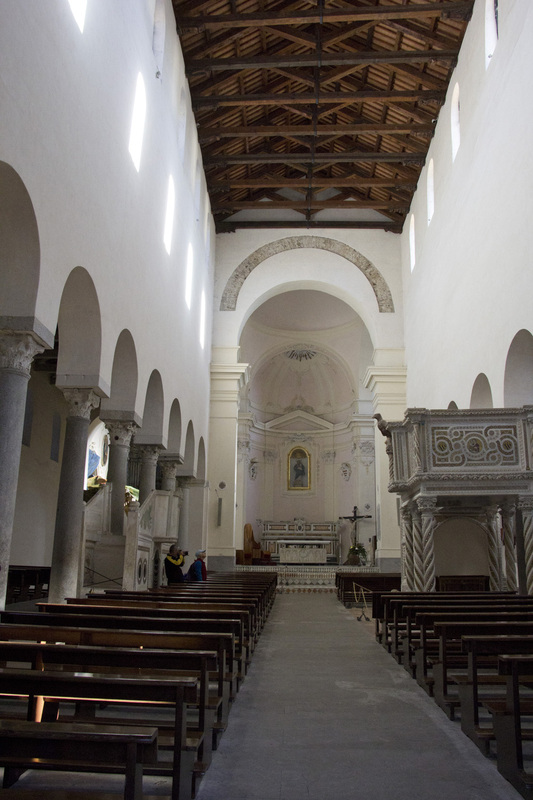 For 7 Euros, you can explore the mish-mash of architectural styles (it has been expanded over the years by its various owners. 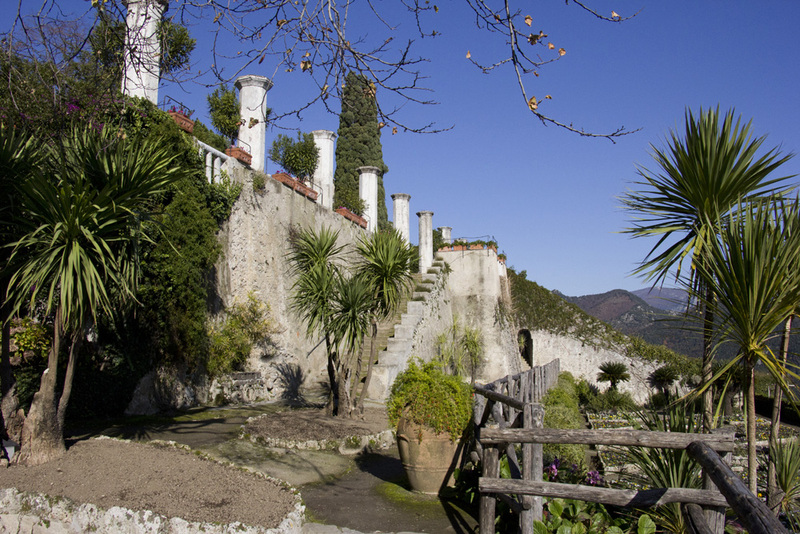 The original villa is barely visible now), wander through the gardens, and stand on the kinda-terrifying Terrace of Infinity. 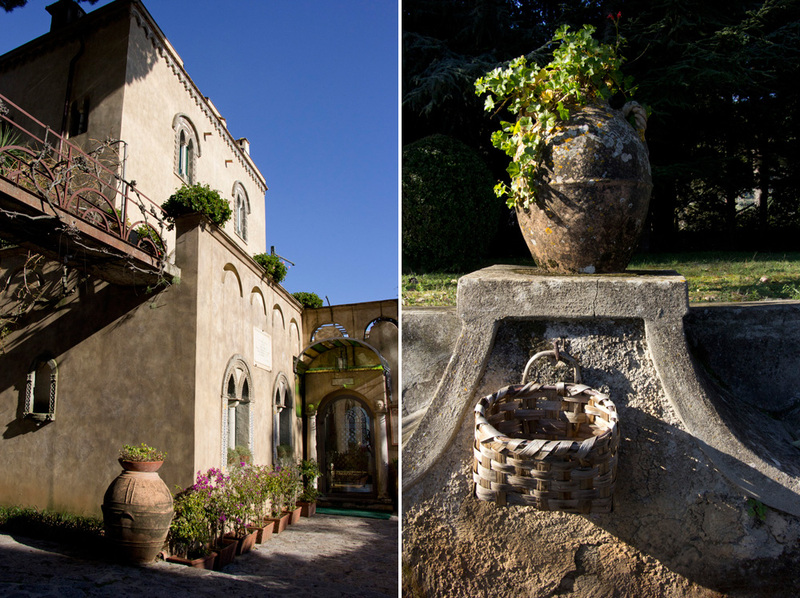 Personally, I enjoyed Villa Cimbrone far more than Villa Rufolo – it seemed more wild and organic than Rufolo, and as it sits on the edge of town, it feels more secluded. This is called the Terrace of Infinity for good reason – the view is vertigo-inducing and there is nothing but cliff and rock and sea beyond the railings. It’s a little scary to be honest. 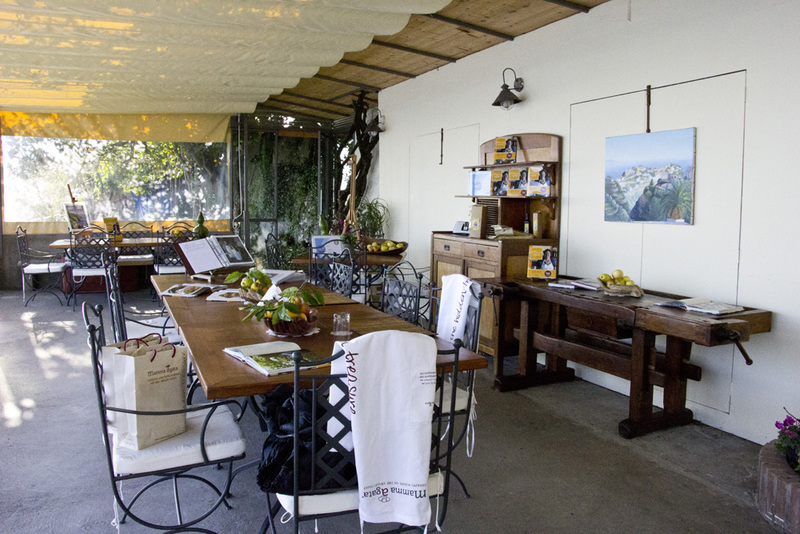 Our day ended at my most favorite place on the entire Amalfi Coast – the outdoor dining table at Mamma Agata’s Cooking School. Here we chatted about food, family, and health with Chiara Lima, one of the most welcoming and joyful women I’ve ever met on my travels. Listening to her talk about her dedication to food tradition and good ingredients, as well as her own travels reignited a passion for cooking inside of me that I though had been lost to my hectic daily life. I took home with me some delicious jars of olive oil and tomato puree as well as a copy of her cookbook, which now has a permanent home on my kitchen table. It’s the only cookbook I currently keep in my apartment in Brooklyn. 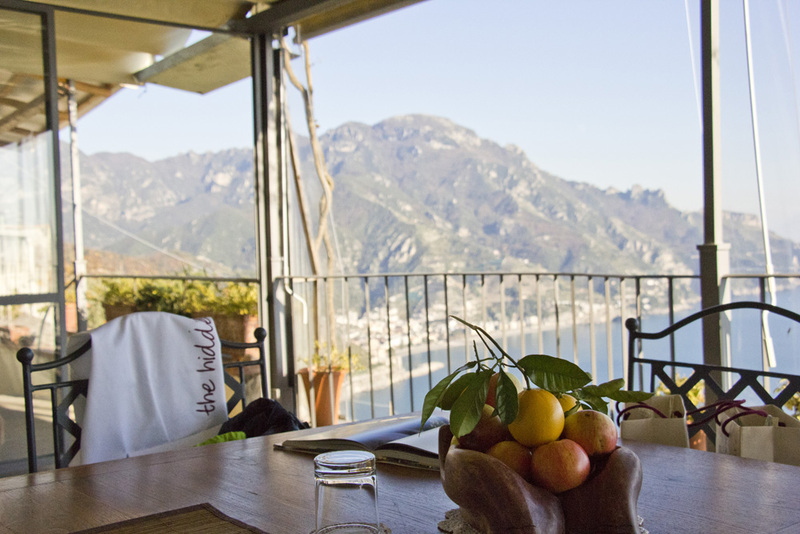 Tasting Chiara’s lemon cake and enjoying the views from her outdoor dining room was a picturesque way to end our day in Ravello. 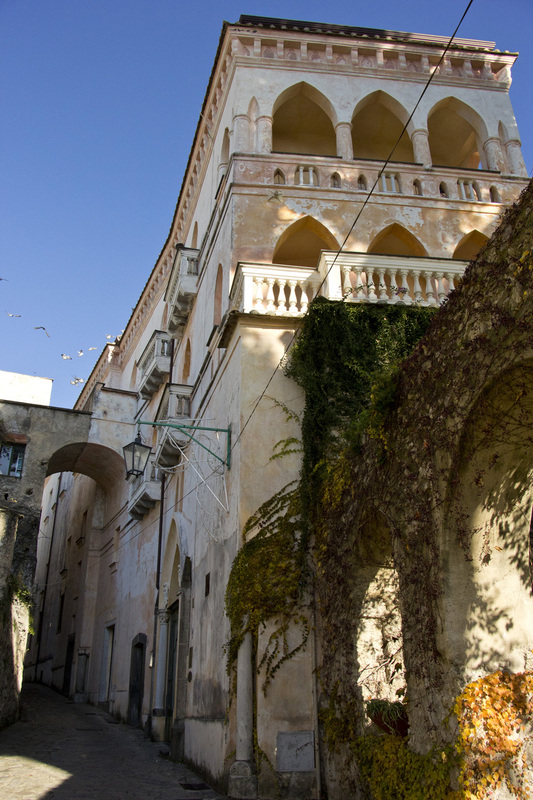 Though Positano charmed me and Amalfi stunned me with it’s light, Ravello felt like a true Italian home. I would love to go back. 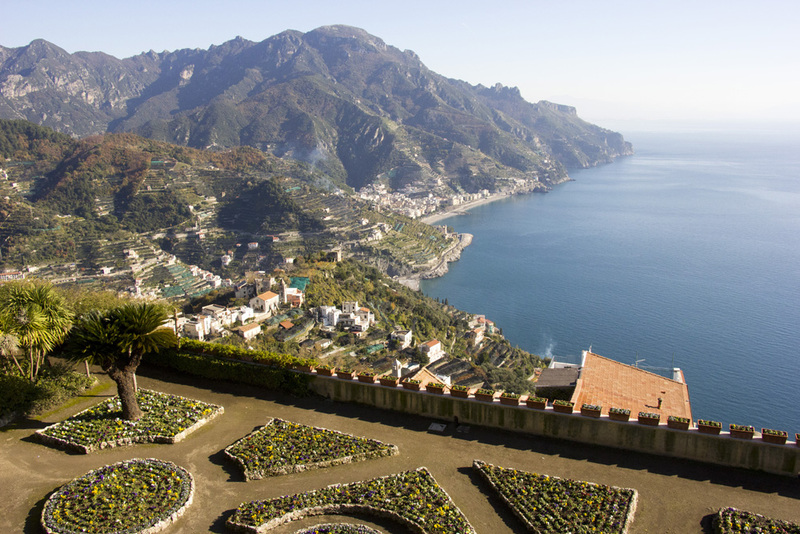 Have you been to Ravello? 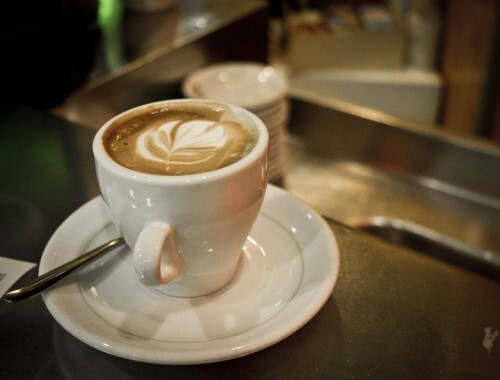 What places did I miss on my one-day stint in town?